The Backside Learning Center at Churchill Downs’ annual ladies-only evening of cocktails and hors d’oeuvres to kick off the Kentucky Derby and Kentucky Oaks celebrations! 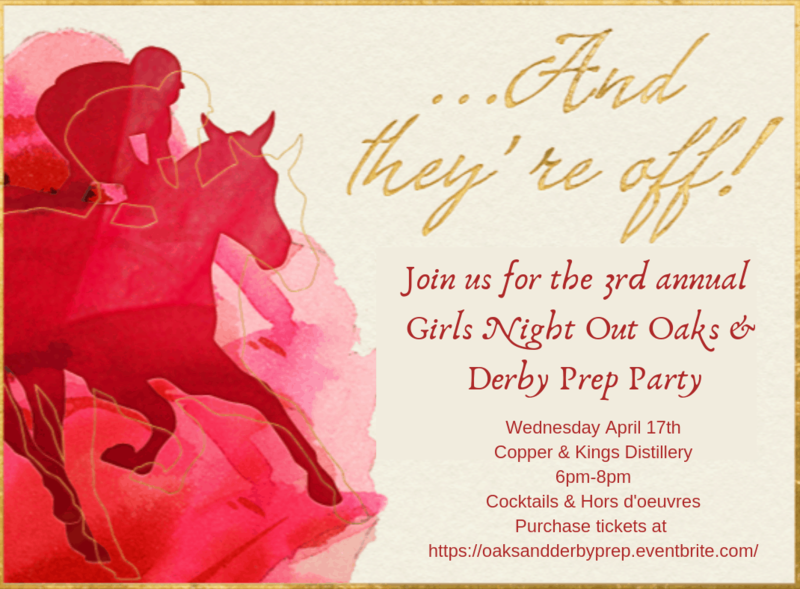 Joining us will be industry experts, Donna Barton Brothers, former jockey and NBC Sports Reporter; Mike Battaglia, Handicapper and Morning Line Odds Maker for Churchill Downs; and Jennie Rees, Horse Racing Reporter & Journalist, sharing strategies on how to bet and their top picks for Oaks & Derby! After the expert presentations, stay for more hors d’oevres, drinks, and visit our partner vendors: Kendra Scott,The Mill by Kenzie, Elva Fields, and Tory Burch. All ticket sales benefit The Backside Learning Center! The BLC is an independent, non-profit organization serving the equine workers and families at Churchill Downs. We provide adult education programs, after-school and summer youth programs and social services. Purchase individual tickets through Eventbrite (link below), or to purchase a reserved premium table sponsorship for 10 contact us or call the Backside Learning Center at 502-634-6543.